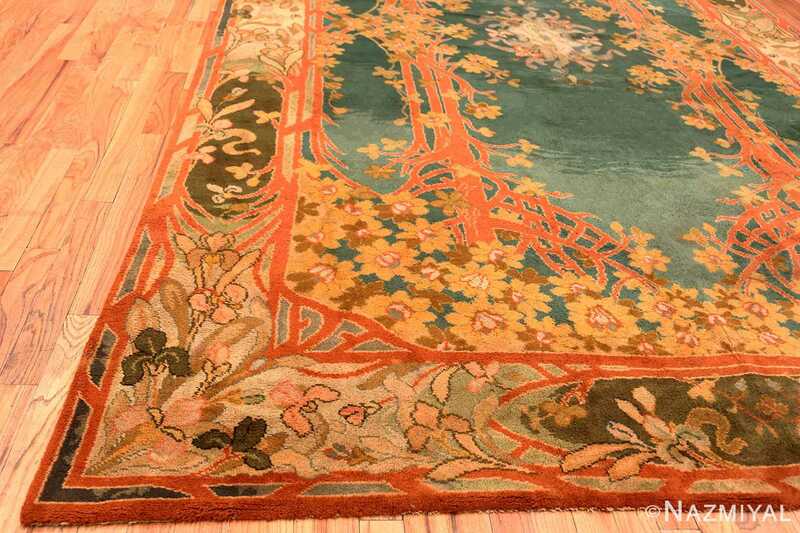 Antique Art Nouveau Irish Donegal Rug 49155, Country of Origin / Rug Type: Irish Rugs, Circa Date: 1920 – Step into an Irish fantasy world with this ornately designed Irish Donegal carpet. 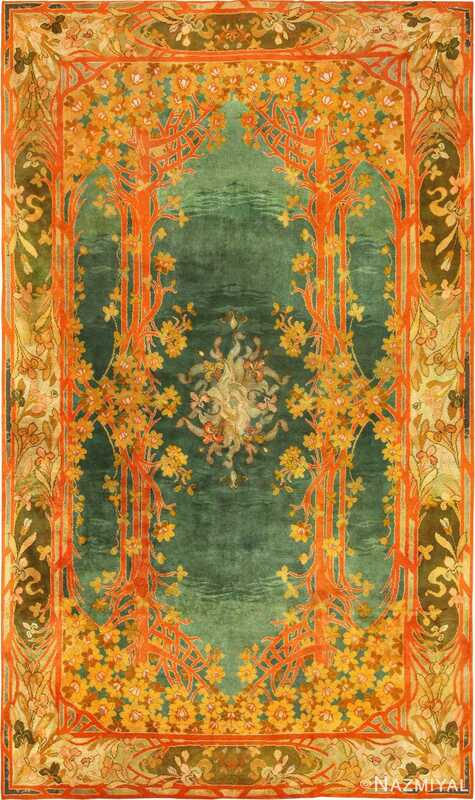 Rendered in the naturalistic, curvilinear Art Nouveau style, rich tones of forest green form the backdrop to a floral trellis in orange-red accentuated with pale yellow, tan and amber flowers. 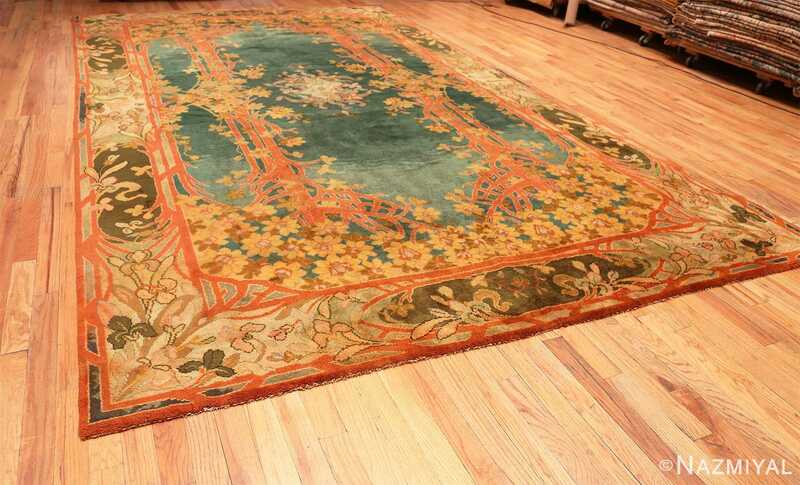 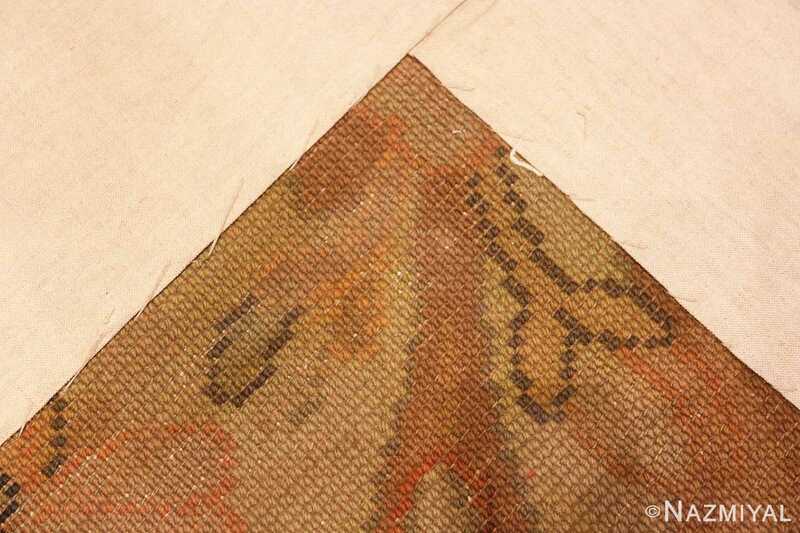 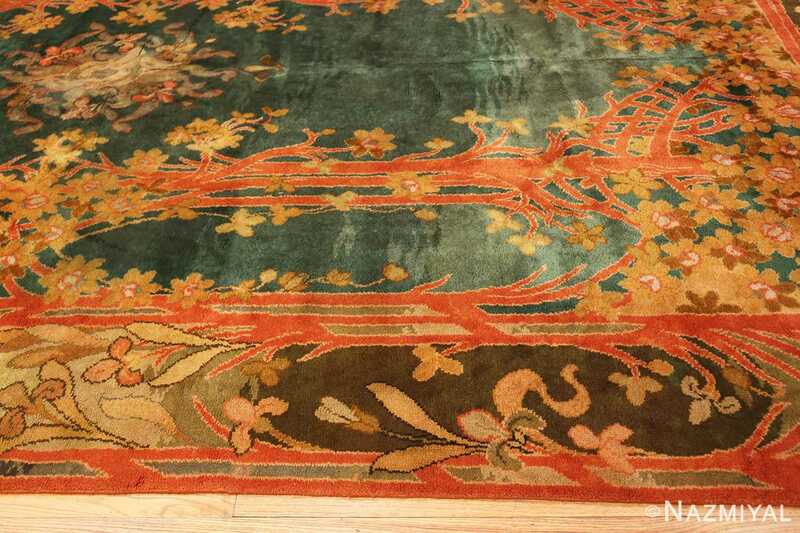 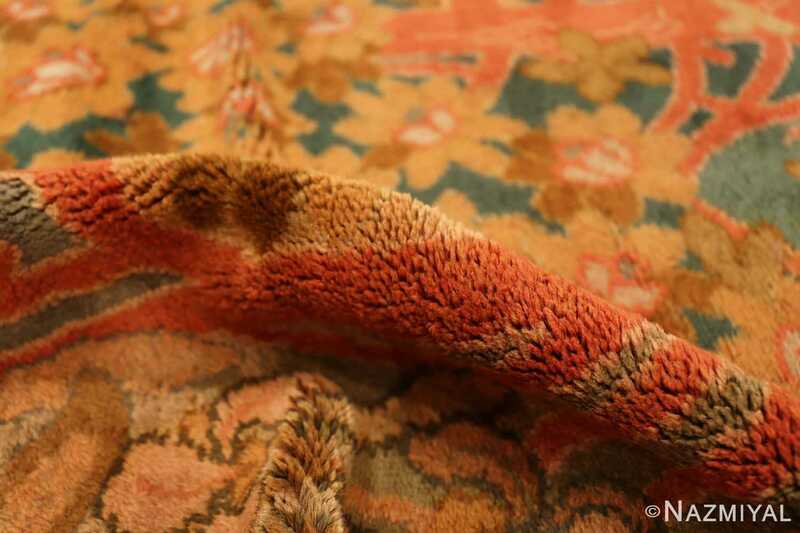 The gradations of green give this antique Art Nouveau Irish Donegal rug an illusion of pools of water. 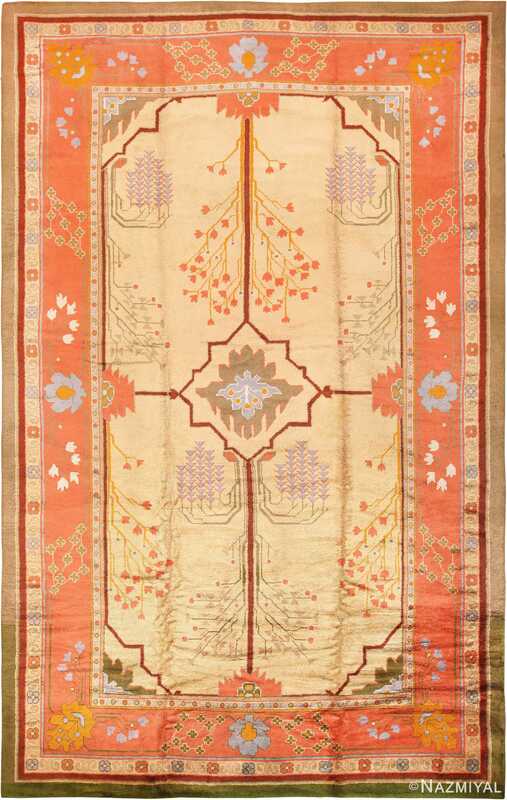 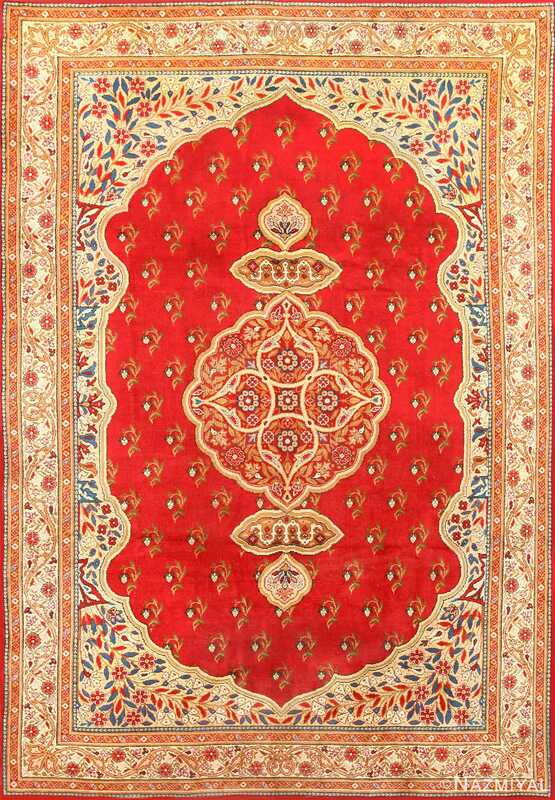 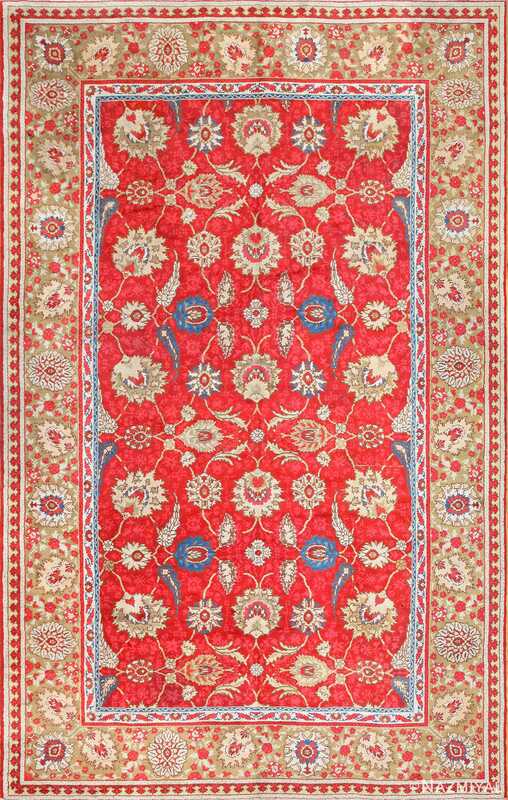 The antique rug’s central floral motif is suspended in mid-air, symmetrically positioned between the vertical columns and the top and bottom tiers of the trellis. 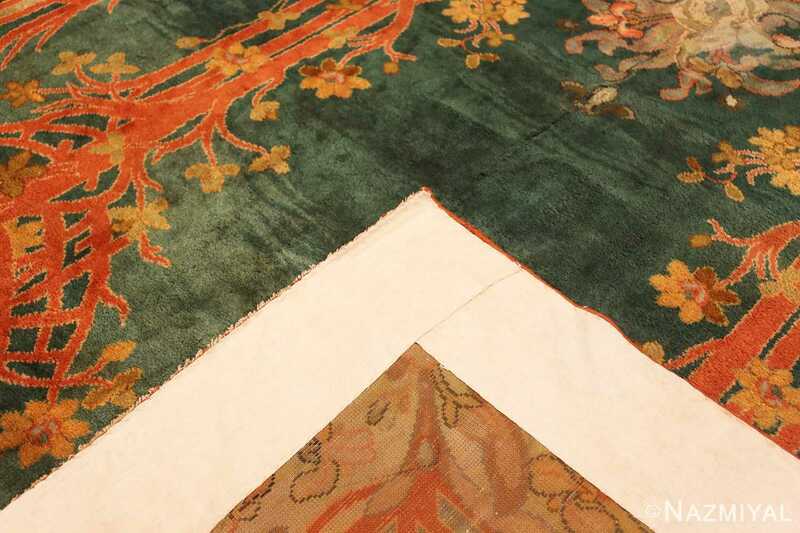 The border continues the theme of the main panel, worked in large floral reminiscent of works by artists of the period such as Aubrey Beardsley. 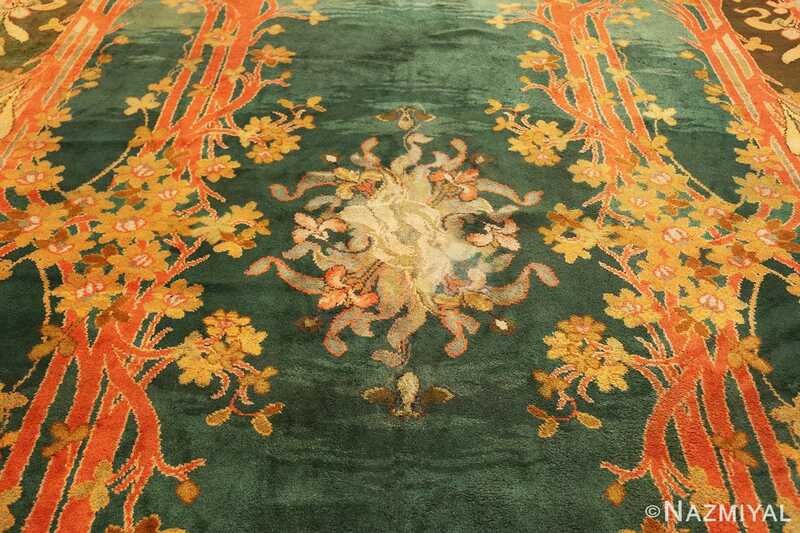 Golden palmettes and spacious vinescrolls decorate this luxurious antique Donegal carpet, creating a regal Persianate arabesque adapted to fit a European aesthetic.